Internet service has evolved from dial-up, over DSL and cable, to a fiber based Internet service. All of these advancements were followed by an increase in speeds of Internet connections in users’ homes. There are wireless options as well, but this time we’ll focus onto wired options as that is what people order when getting Internet into their homes. At this time, AT&T Internet offers speeds starting at 50Mbps and going up to 1000Gbps (1 Gigabit per second). 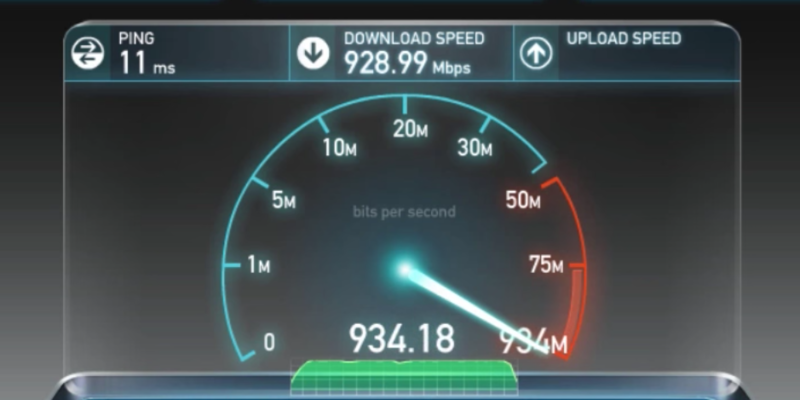 Please remember that all Internet speed packages are described as “up to” while guaranteed speeds are lower than that. For example, if you subscribe to a package that provides speeds of up to 75Mbps (75 Megabits per second), at times, you may experience speeds of 45Mbps. AT&T support should be contacted if a user believes the speed should be better. One of the ways to test the speed of home Internet connection is to use AT&T Internet Speed Test. This test will measure both download and upload speeds, as well as latency, a factor that could influence the speed of Internet connection in your area. While AT&T provides numerous packages and speeds, we’ll stick to their main packages that are mostly offered in areas of AT&T’s Internet service. Until recently, the high speed Internet service form AT&T was called AT&T U-verse Internet. Just recently it has been renamed to simply AT&T Internet. Internet 50 – Fiber to premises Internet service with the speed of up to 50 megabits per second. Upload speed is up to 10Mbps. Internet 75 – Fiber to premises Internet service with the speed of up to 75 megabits per second. Upload speed is up to 20Mbps. Internet 100 – 100% fiber based Internet service with the speed of up to 100 megabits per second. Upload speed is up to 100Mbps. Internet 1000 – 100% fiber based Internet service with the speed of up to 1000 megabits per second (the real usable download speed is up to 940Mbps as the rest is an overhead capacity reserved to deliver the data). This is often called gigabit Internet, regardless of the provider as 1000 megabits equal 1 gigabit. Upload speed is 940Mbps. The speeds described as up to should not be taken as that an Internet provider seeks for some sort of safety for itself, as often this depends on factors including site traffic, content provider server capacity, internal network management factors, and end user device capabilities. As shown above, upload speeds differ a lot between “fiber to premises” and “100% fiber” types of Internet services. The first one delivers lower upload speeds when they’re compared to download speeds. The second one is symmetrical, that is, download and upload speeds are equalized. Learn more about AT&T Internet Service speeds and prices.